Last Monday, I celebrated my 30th birthday. My wife, Amanda, the greatest gift-giver of all time, made her usual point to just bombard me with BluRays. The theme: trilogies. Everything, it seems, including yours truly, is better in multiples of three. If the movie itself is even close to as good as the trailer suggests, we are all in for a real oddball treat this December. Set to premiere this weekend at The New York Film Festival, the jury is still out as far as to just how good it really is. I am hopeful. "Horrible Bosses 2” (November 26th) – Thanksgiving weekend is sure to get even funnier as the loveable trio of boss haters (Jason Bateman, Jason Sudeikis, and Charlie Day) make their way back to the big screen in the sequel to the 2011 hit. This time the boys are out to start their own business but, when problems arise, find themselves in an ill-advised kidnapping scheme. Kevin Spacey and show-stealer Jennifer Aniston return to the ensemble cast joined this time by two-time Oscar winner Christoph Waltz (Tarantino’s “Inglourious Basterds” and “Django Unchained”). “Wild” (December 5th – Limited) – Tennessee native Reese Witherspoon (Oscar winner for 2005’s “Walk the Line”) seems poised to get another Oscar nomination this year. In director Jean-Marc Vallee’s “Wild,” Witherspoon plays a recovering drug addict, who sets out alone on a 1,100-mile hike. Last year, Jean-Marc Vallee led Matthew McConaughey to his first Oscar in “Dallas Buyer’s Club.” Can he get another one for Reese? 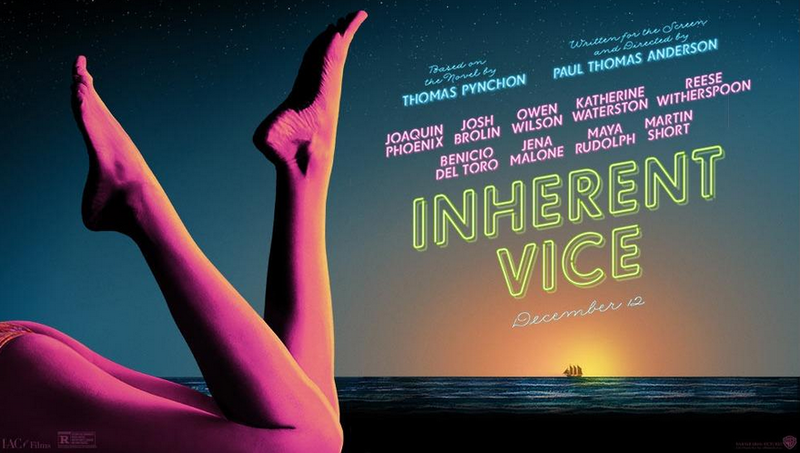 “Inherent Vice” (December 12th) – Paul Thomas Anderson is the Hollywood boy wonder who never misses. He hit big in 1997 with a non-stop ride into the late 70s adult film industry called “Boogie Nights.” Then, he followed up with the L.A. mosaic masterpiece, “Magnolia” in 1999. Since then, he put Adam Sandler in a great dramatic role (2002’s “Punch-Drunk Love”), directed Daniel Day-Lewis in the greatest screen performance in years (2007’s “There Will Be Blood”), and brought Joaquin Phoenix out of semi-retirement to star in the odd but epic post-WWII drama “The Master” (2012). In “Inherent Vice,” he has taken on the seemingly impossible task of adapting a Thomas Pynchon novel (never before even attempted) and teamed back up with Phoenix to star as stoner private investigator, Doc Sportello. Set in 1970, it promises to deliver an offbeat, funny tale, featuring a great ensemble cast, including Reese Witherspoon, Owen Wilson, Benicio Del Toro, and Josh Brolin. I am stoked for this one. “Unbroken” (Christmas Day) – Co-written by Joel and Ethan Coen (“Fargo”, “No Country for Old Men”) and directed by actress Angelina Jolie, “Unbroken” has been touted as a possible Best Picture winner. It is a chronicle of the life of Olympic runner, Louis Zamperini (Jack O’Connell), who was taken prisoner by Japanese forces during World War II. This is the kind of movie that Oscar loves, and, from the trailer, it looks as powerful as any drama you’ll find this year. “Hot Tub Time Machine 2” (Christmas Day) – My first date with my now wife took place at a screening of the original “Hot Tub Time Machine” (2010). John Cusack starred alongside brilliant comedians Rob Corddry and Craig Robinson, forming a trio of old friends looking to find the magic of their youth at a ski resort in the Rockies. When they have way too many drinks one night, they find themselves transported back to the 80s, where they encounter the past from different perspective. Cusack is out on the sequel, but the trailer promises a ridiculous comedic ride into the past that I can’t wait to see. WARNING: TRAILER IS R-RATED.